Like to give scuba diving a try but unsure if the underwater world is for you? 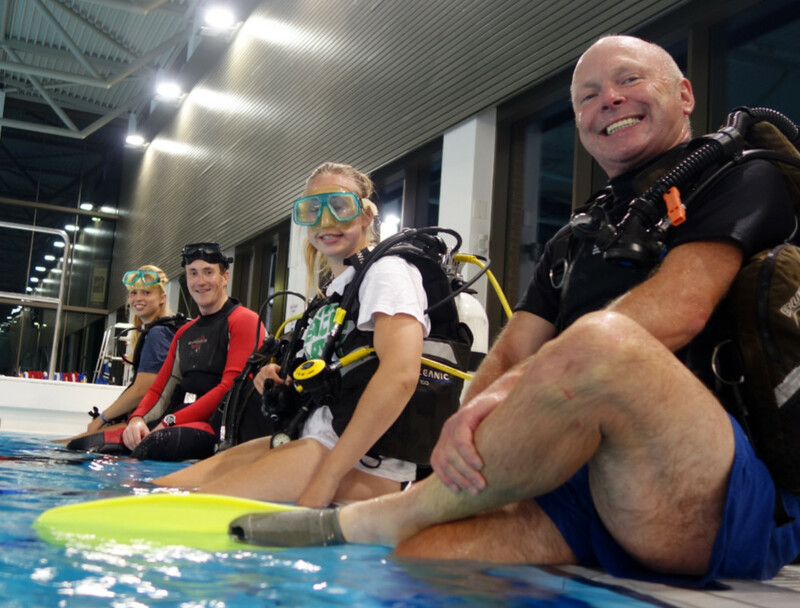 Luton BSAC Scuba Club offer a Try Scuba Diving session so you can discover scuba diving first hand! You will be taken through the basics of using scuba equipment. Also, you will be taught to ‘equalise’ your ear pressure underwater. Some people think they won’t be able to scuba dive because they experience ear pain as they go deeper underwater. We teach the right way to ‘equalise’ to prevent ear pain. We also offer sessions for already qualified divers who want to get a better idea of the great club benefits on offer. Try dives are conducted in the Luton Olympic Pool at The Inspire Village. The cost is only £10, and is refundable against your club membership if you choose to continue your journey. Its best to book ahead to guarantee a place. Contact us today for a Try Dive!